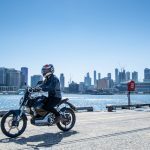 LAMS is the current plat du jour in the smorgasbord of the Australian motorcycle market, and Suzuki have cooked up something tasty to claim back their piece of the L-plate pie. Some bikes seem born to fly under the radar, including some which have gone on to surreptitiously sell their pants off. 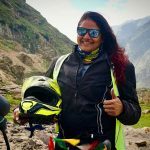 I’m talking about the bikes which quietly go about bringing abundant joy to their owners without pillaging their pockets or plumping their feathers. The kind of bikes which prove that if you match a sweet engine with sound chassis geometry, you have the formula for no-nonsense motorcycling nirvana. Suzuki have sold over 410,000 units of their 650 V-Twin family of motorcycles, all of which I would place in this category. 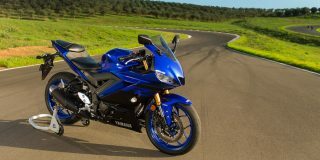 The new SV650 shows that, thankfully, they have no intention of giving up on a good thing yet. That’s the good news. 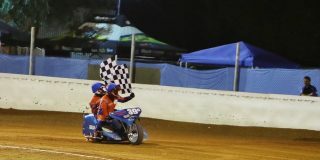 The bad news is, for the time being at least, we will only be getting the restricted learner legal LAMS version of the bike in Australia. 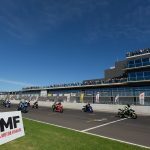 But, with some pressure applied through the dealer network to import the full power model, hopefully Suzuki Australia will succumb to popular demand. Because this SV650 in uncut form would have to be one of the sweetest and best value lightweight roadsters on the planet. The Gladius 650 which this new SV650 replaces may have been styled in a way which already looks a little bit dated, but, apart from the Jetsons’ space buggy silencers, I for one think it’s quite an attractive bike. Helped by the visually appealing main structural elements of the V-Twin motor and tubular steel trellis frame. How can you possibly go wrong with that combination anyway? Although those elements remain, Suzuki have obviously decided that a styling nod backward in time will get the juices flowing freer in folk attracted to the V-Twin allure, and they could be right. This new SV650 definitely has a deft balance of Nuevo retro, and some classy detailing touches, too. Any self-respecting urban smoothie will appreciate the asymmetric GT stripes, and the pearlescent Electric Blue shimmering through lustrous Pearl Glacier White on a mid-summer’s weekend coffee stop. Likewise, with the subtly sparkling fine-pearl Mira Red model, and even the over-understated Metallic Matte Black. It is indeed a fine thing seen in the flesh, and the SV is sure to be proudly and enviously ogled between Sunday size servings of berries, satisfying both of a motorcyclist’s greatest emotional necessities. Welcome to the fold LAMSters. 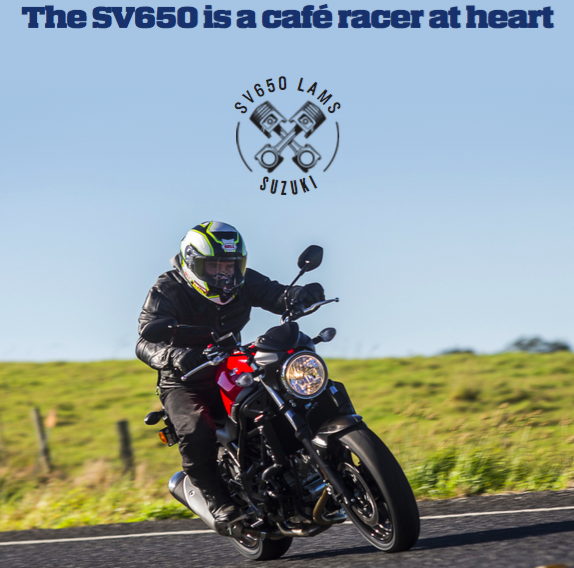 With a ride-away price under ten grand and the lowest seat height in it’s class, the SV650 has to be one of the most accessible large capacity learner bikes on the market. Viewed from above, it appears the designer of the new SV must have taken to the Gladius clay model with cool hands and a bloody sharp file, slimming its hour-glass aerial profile drastically. The entire bike has been narrowed, with the intersection between seat and tank receiving some major cinching-in. This narrow midriff combined with the low 785mm seat height makes landfall even easier for little folk with short legs. It even makes me feel tall, which I am certainly not. Being this slim has other obvious benefits, too, like dissecting the guts out of that angry beast, the inner-city rush hour. 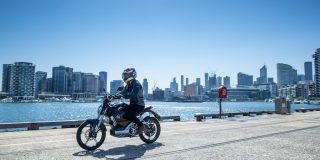 The SV has always been a popular choice with urban commuters, and that love affair should be rekindled with this new model. For this sort of use, potential buyers with a full motorcycle licence shouldn’t be put off by the LAMS legal tune. It will still make a fantastically effective cross-town bike even in restricted form. 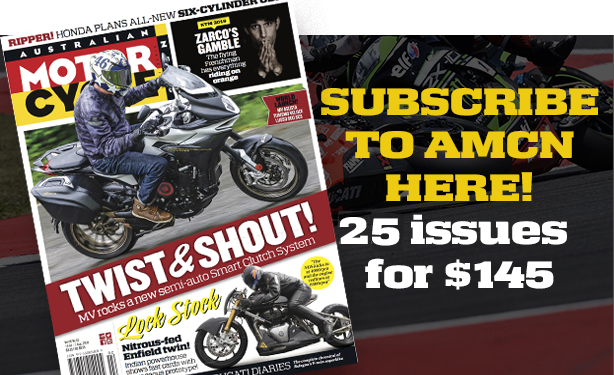 Only around 12 per cent of the bike’s torque is lost by retuning it for LAMS approval, and peak torque has been moved down the rev range to be produced at 4000rpm, half the engine speed of the unrestricted bike. What this all equates to is acceleration which defies its seemingly humble power output of 35kW, and makes its power delivery ideal for performing sudden short bursts of acceleration between traffic lights to stay well ahead of the tin-wrapped pinstriped Charlies. Highway cruising at 100km/h has the little V-Twin spinning over at around 4500rpm, just over peak torque, but still with enough grunt in reserve for unpanicked overtaking. As it is in the city, the SV is also best ridden using the bottom end power when out on the open road, in fact, it’s the type of bike you could virtually leave in top gear all day. 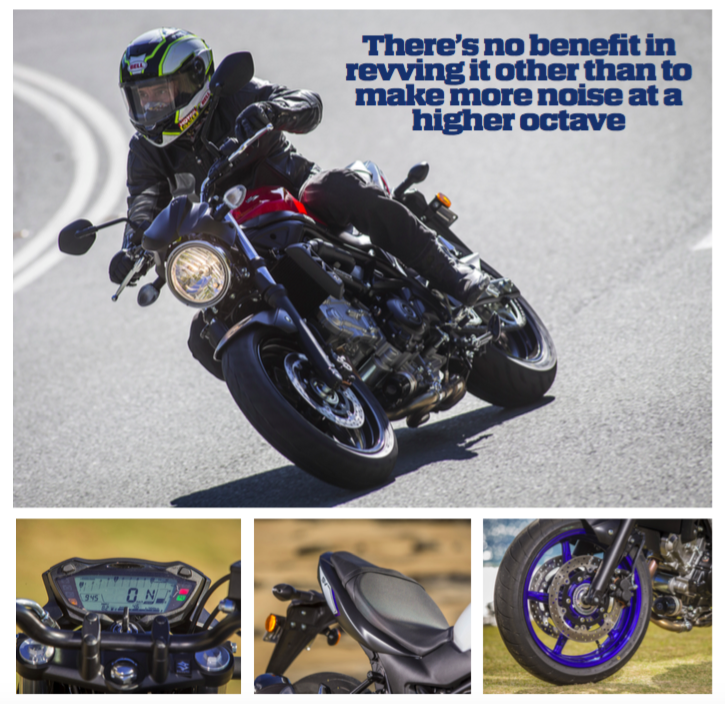 There’s no benefit revving it other than to make more noise at a different octave, and with such a quiet exhaust system, there’s not really much point in that either. 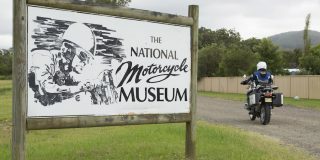 Riding through the Sunshine Coast hinterland, I was never sure whether the SV650 was giggling or purring, but both would have been appropriate. 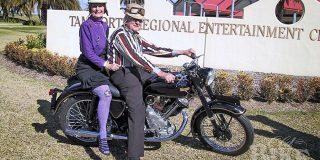 What noise it does make is enough to identify it as a V-Twin, and therefore spread a little smile and warmth through your world. I’m sure most buyers will want more thump, but you’ll have to go aftermarket to back your ride with that kind of soundtrack. The same smooth linear power delivery which has been a signature of all Suzuki V-Twins carries over to the SV650, as is the way its narrow engine gifts the chassis with minimal inertia to fight against when performing fast direction changes. It is eminently flickable, to the point of feeling more like a 250 than a 650. 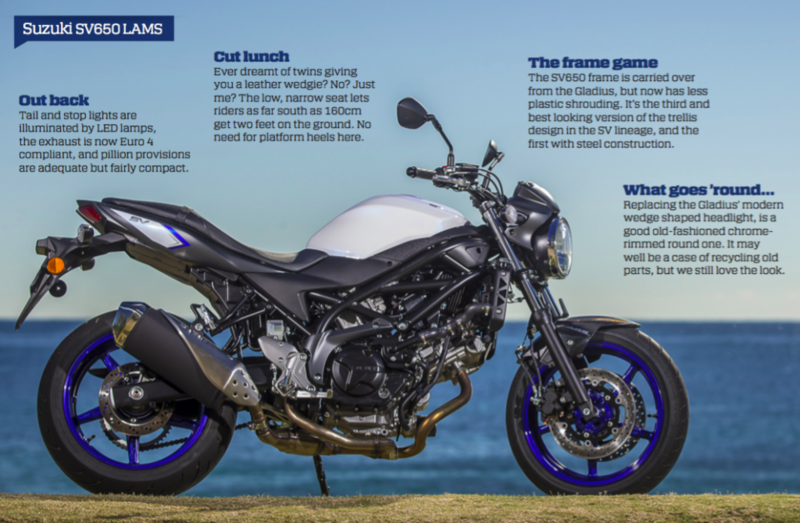 These characteristics have always constituted the charm of previous SV650 models, and this new offering has just brought the SV up to date, thankfully, without blowing out the price. Quite the opposite in fact. At $8990 plus on-roads, the SV650 is $1500 less than the Gladius, and even a full grand less than the original SV650 when it was released 17 years ago! Any thoughts that this is a quick make-over job are quickly quashed by Suzuki’s boast of 140 changes between this new SV650 and the outgoing Gladius. 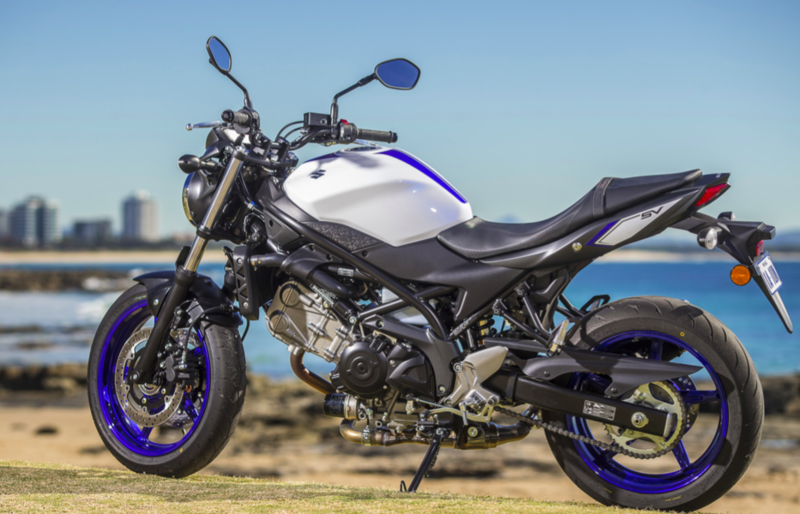 Five kilos have been shaved off this ABS equipped SV650 compared to the non-ABS Gladius, adding to the model’s already nimble steering. There is virtually not a single part left unchanged on the chassis, and the engine has received its fair share of improvements, too. Internal developments such as new resin-coated pistons and tinning of other high-wear surfaces are said to have increased the durability of this rather bulletproof motor even further. This in turn has stretched the service intervals out to 12,000km, with the more major service jobs such as valve clearance checks now required at 24,000km. 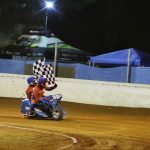 The fact the engine is easy to access and relatively simple to work on also brings the cost of servicing down, as well as making self maintenance a less intimidating option than with the majority of modern motorcycles. 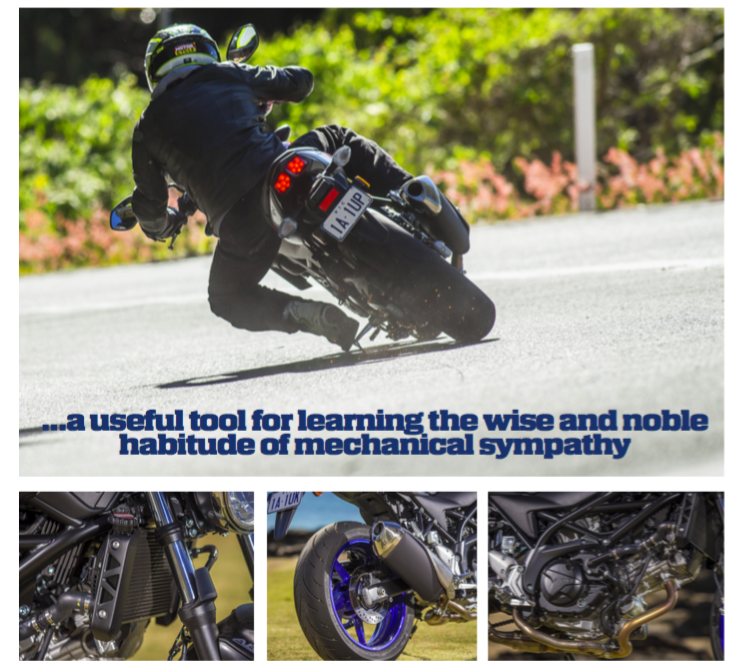 Although you couldn’t accuse the new SV650 of being featured-packed on the technology front, what it does have in the way of features makes it ideal for both learners and long-termers alike. Its Low RPM Assist function is so simple and sensible that it makes you wonder why every motorcycle hasn’t had it for years. All it does is automatically raise the engine speed by around 250rpm as the clutch is released, making it less likely to stall when taking off. It’s not rocket science, and it’s not completely foolproof, but it’s a brilliant idea nonetheless. The SV650 also gets Suzuki Easy Start, which was first fitted to the GSX-S1000. One touch of the start button is all that’s needed. Just press and release, and the bike will crank-over for as long as it takes to fire into life. Another carry-over from the GSX-S1000 is the neat and nifty instrument panel. It has all the info you’d expect, plus useful but sometimes overlooked displays like gear position and fuel range. It also has a bar-graph tacho with Peak Hold function, which displays a marker at the peak rpm reached. This is a useful tool for learning the wise and noble habitude of mechanical sympathy, as any overzealous use of the gearbox to slow the bike down will leave evidence of your wrongdoing on the dash. ABS can hardly be counted as an amazing electronic feature anymore, but the Nissin system fitted as standard to the SV is an excellent example of how the technology have improved in recent times. The ABS control unit is tiny, almost a kilo lighter than the one on the ABS equipped Gladius, and works far less intrusively than systems fitted to bikes three-times the price of the SV not that long ago. Twin discs matched with two-piston calipers at the front gives solid stopping power, and without the braking torque induced fork twist a bigger single disc and four-piston caliper would give the same front end. It’s a small detail, but another attribute which adds accuracy and predictability to the SV’s chassis, and makes it such a sweetly steering machine. The only spoiler getting in the way of a grindingly good time on the SV are those unbelievably long foot peg extensions, or hero knobs as they’re sometimes known. I know they’re there for a reason, possibly even a good one, but they do limit the SV to distinctly perpendicular lean angles compared to what it’s really capable of. They also make a mess of the road! Despite the forks and shock appearing to be fairly basics units, they do a sterling job of behaving like far more fancy-pants parts. Fork dive was less than usual on this level of machine, and excessive boing (insert Wylie Coyote sound effect here) was noticeably absent from either end of the bike. In all, adequately sporty, well balanced, and not too harsh over the rougher stuff. Having just lauded its suspension for not being too racy for the real world, it has to be said that the SV650 is no armchair either. Having such a low and narrow seat comes with the inevitable compromise for long distance comfort. It’s not that the SV is uncomfortable – the seat has been well designed to make the most of what depth of padding is there – but it’s so narrow at the front that I could only just rest my sit bones on it, and it’s just not the kind a saddle I’d want to spend more than a few hours at a time on. But then again, this is a sportsbike in the classical sense, and for sports riding the seat perfectly fine. That classic sporting sensibility is seen in the attractive and grippy aluminium pegs, narrow swept back bars, and semi-crouch riding position. Nothing too extreme, yet still poised for a ‘friendly’ sprint to the next café at the drop of a hanky. The SV650 is a café racer at heart, and for that I heart it very much indeed (cough).